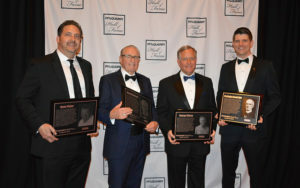 Four aggregate industry pioneers, including Fisher Industries’ Gene Fisher, Polydeck’s Manfred Freissle, McLanahan Corp.’s George Sidney and W.S. 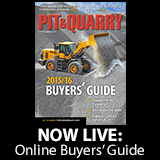 Tyler/Haver & Boecker’s Washington Samuel Tyler, were inducted into the Pit & Quarry Hall of Fame Feb. 11. 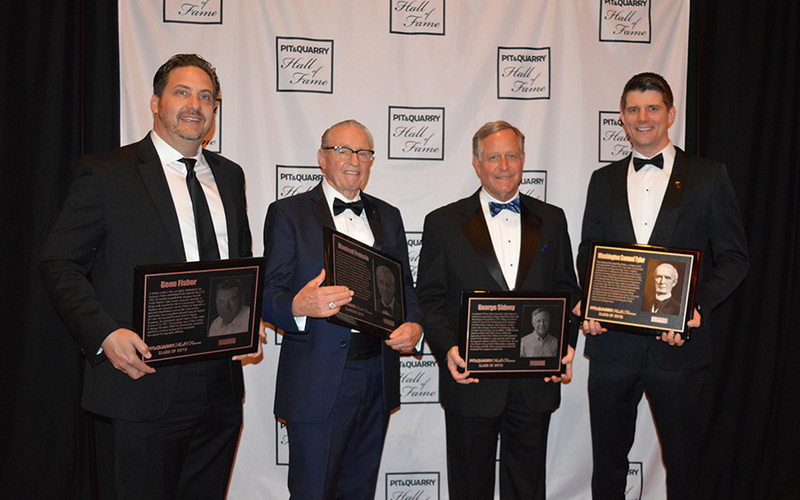 The induction ceremony – which was the seventh rendition of the Pit & Quarry Hall of Fame festivities – took place prior to the 2019 AGG1 Aggregates Academy & Expo in Indianapolis. Tommy Fisher, current president of Fisher Industries, accepted the honor on behalf of his late father, Gene Fisher. Gene established Fisher Sand & Gravel in 1952. Throughout his career, he designed and manufactured much of his own equipment. Gene even patented his own classification system – the Fisher air separator – to remove fine particulates from manufactured sand using air instead of water. By 1967, Gene launched General Steel & Supply Co., an equipment support team to Fisher Sand & Gravel. Gene died in 2013, but the company, now run by Tommy, continues to serve the aggregate industry with two metal fabrication facilities, including a 100,000-sq.-ft. warehouse and a fully stocked parts department. 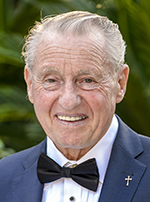 Manfred Freissle, a co-founder of Polydeck Screen Corp. who played a key role in revolutionizing the screening industry, joins Fisher in the Pit & Quarry Hall of Fame. Freissle originally co-founded South Africa-based Screenex, the parent company of Polydeck, and sought to improve traditional wire cloth and synthetic screen mats with a focus on improved safety and durability. In 1972, Freissle patented Polydex, the first modular synthetic screen panel. Freissle’s years of experience and expertise at Screenex proved critical to the guidance of Polydeck, which was established in 1978. His involvement in Polydeck continues today, as the company has grown to more than 250 employees. 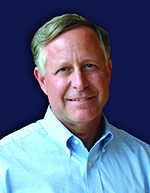 George Sidney began his career with McLanahan Corp. in 1973. 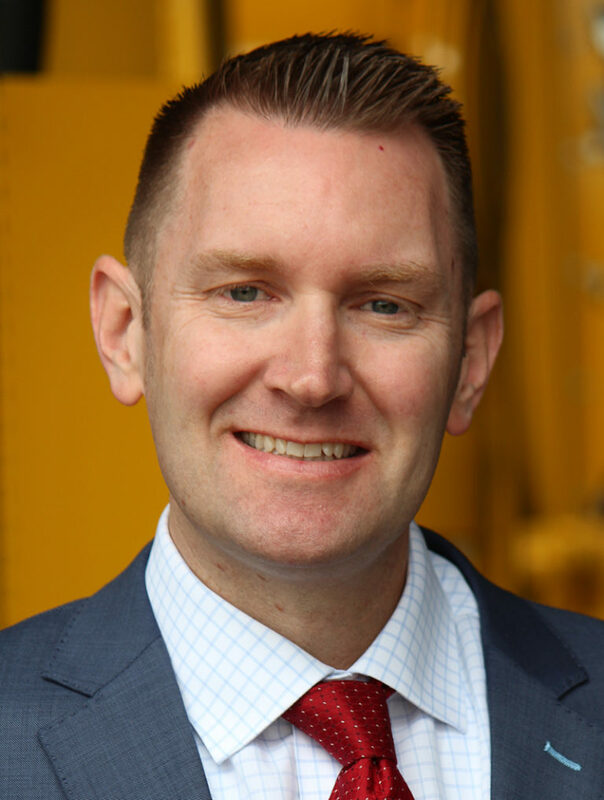 Sidney retired at the end of 2018 but still remains an active part of McLanahan’s board and industry trade associations. Niklas Haver, the chairman at Major, accepted the Hall of Fame honor on behalf of Washington Samuel Tyler. Tyler’s legacy began more than a century ago when he founded Cleveland Wire Works, a company that was renamed W.S. Tyler in 1872. 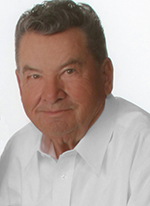 Throughout his career, Tyler became a pioneer in the manufacturing of steel wire for a range of specialty and standard products. 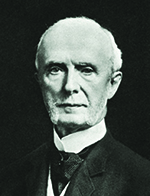 In 1878, W.S. Tyler introduced the first fully mechanical weaving looms, as well as wire crimped in stages, improving durability in screen decks. In the years that followed, W.S. Tyler introduced the Ro-Tap sieve shaker, hook strips for screen tensioning and a fully mechanical vibrating screen. In 1998, W.S. 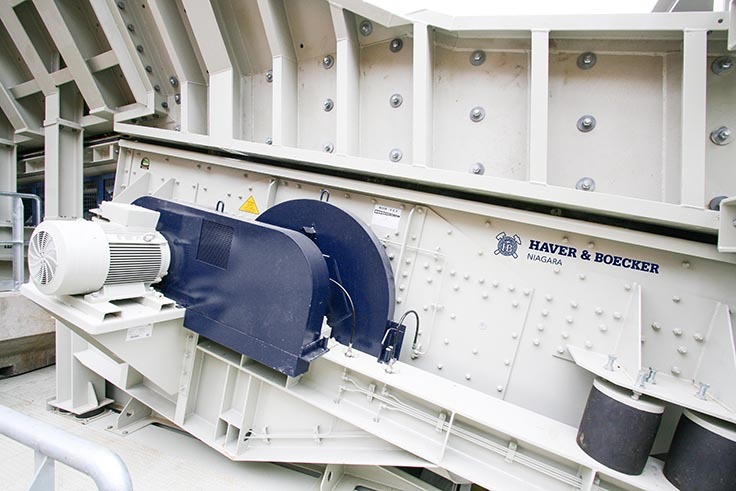 Tyler was purchased by Haver & Boecker, which today provides screening, washing and pelletizing solutions across the aggregate industry. Tyler died in 1917, but his legacy lives on throughout a number of products, including the company’s signature vibrating screen, the Tyler F-Class. The members of the 2018 class join 28 inductees who are already enshrined in the Pit & Quarry Hall of Fame. Like their Hall of Fame predecessors, the 2019 class will be represented in the National Mining Hall of Fame & Museum in Leadville, Colorado. • Eli Whitney Blake, Blake Rock Crusher Co.
• J. Don Brock, Astec Industries Inc.
• Emil Deister, Deister Machine Co.
• Paul Detwiler Jr., New Enterprise Stone & Lime Co.
• Paul Detwiler III, New Enterprise Stone & Lime Co.
• Richard J. Feltes, Feltes Sand & Gravel Co.
• Howard Hall, Iowa Manufacturing/Cedarapids Inc.
• Donald M. James, Vulcan Materials Co.
• Charles W. Ireland, Vulcan Materials Co.
• Samuel Calvin McLanahan, McLanahan Corp.
• Paul C. Mellott Jr., Mellott Co.
• Bruno Nordberg, Nordberg Manufacturing Co.
• Kim Snyder, Eastern Industries Inc.
• Mark Towe, Oldcastle Inc.
• Stephen P. Zelnak Jr., Martin Marietta Materials Inc. 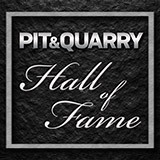 Learn more about the Pit & Quarry Hall of Fame at www.pitandquarryhalloffame.com.